The WriteableBitmapEx library is now available as a NuGet package. The package contains the Silverlight and the Windows Phone binaries. The sources and the PDB are also available at SymbolSource.org. NuGet is a neat package management system for the .Net platform which makes the life of a .Net developer much easier. If you haven't tried NuGet until now, you should definitely give it a try. I'm sure you won't regret it. To install NuGet, open Visual Studio's Tools -> Extension Manager and search the Online Gallery for NuGet. You can then open a project, right click the References and select "Add Library Package Reference". 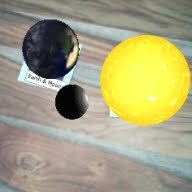 Silverlight 5 3D + SLARToolkit Augmented Reality = Win! 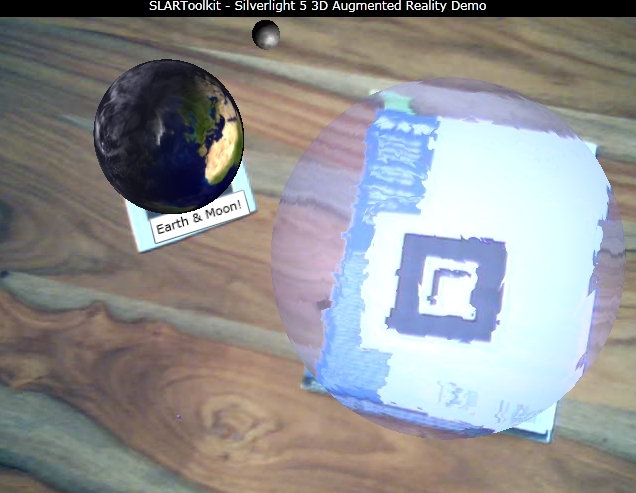 It's almost been a year since I wrote a sample for my open source Silverlight Augmented Reality Toolkit - SLARToolkit. The release of the new Silverlight 5 hardware accelerated 3D API was a nice occasion to finally make a new one. In my last blog post I wrote a summary of all the Silverlight 5 beta features and some notes about the new low-level, XNA 3D API. This post provides the new demo for SLARToolkit which leverages this fast GPU-based rendering to draw some nice effects with 60 frames per second. You can try the live sample if you have the Silverlight 5 beta installed or watch a video instead. 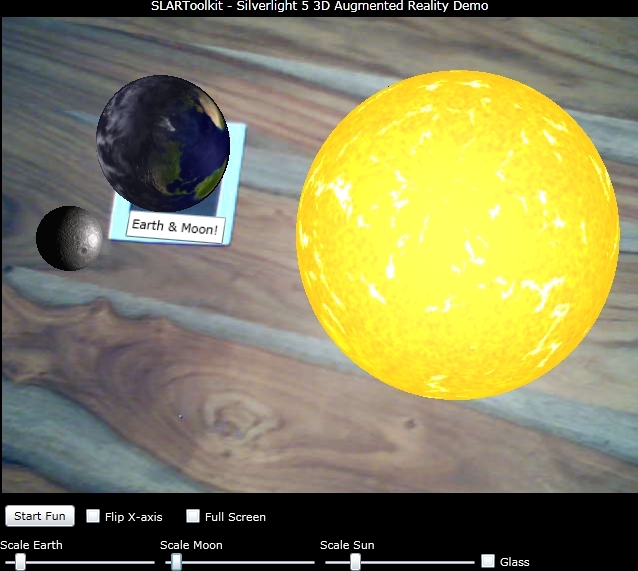 SLARToolkit is a flexible Augmented Reality library for Silverlight with the aim to make real time Augmented Reality applications with Silverlight as easy and fast as possible. It can be used with Silverlight's Webcam API or with any other CaptureSource or a WriteableBitmap. SLARTookit is based on the established NyARToolkit and ARToolkit. A webcam and at least the Silverlight 5 beta runtime must be installed to run the sample. It's available here. Alternatively there is also a video of the new sample embedded below. If you want to try it yourself you need do download the SLAR and / or L marker, print them and hold them in front of the camera. The marker(s) should be printed non-scaled at the original size (80 x 80 mm) and centered for a small white border. As an alternative it's also possible to open a marker file on a mobile device and to use the device's screen as marker. Also make sure the camera is set up properly and the scene is illuminated well without hard shadows. See the SLARToolkit Markers documentation for more details. Open the sample in a new page. Simply press the "Start Fun" Button to start the webcam. The size of the objects can be changed with the "Scale" Sliders. The "Flip x-axis" Checkbox could be used to flip the video (the webcam output is mirror-reversed by default). Click the "Glass" Checkbox to apply a glass effect to the sun model. If you click the "Start Fun" Button for the first time you need to give your permission for the capturing. This application uses the default Silverlight capture device. You can specify the video and audio devices that are used by default with the Silverlight Configuration. Just press the right mouse button over the application, click "Silverlight" in the context menu and select the "Webcam / Mic" tab to set them. I've recorded a short video of the new sample with Expression Encoder's Screen Capture feature. Please keep in mind that the screen recording software eats up a lot of resources while recording and that the actual frame rate is even better. The video is also available at YouTube. This demo shows how the new Silverlight 5 3D API can be used to augment the reality with the help of SLARToolkit. It also demonstrates how the 3D DrawingSurface can be combined with the webcam video stream and overlaid with ordinary TextBoxes. This can be nice for educational projects and it's actually no problem to add correctly transformed videos or other content to the demo. This sample uses the webcam video stream which is used to fill a Rectangle shape, the video stream is also constantly captured and fed to the SLARToolkit BitmapMarkerDetector to detect the markers. The detection result contains a transformation matrix for each found marker which is then used to transform the 3D objects and the TextBoxes. A couple of vertex and pixel shaders are used to get the desired effects. Techniques like Phong shading, Bump mapping and Refraction mapping (glass) were implemented. The snapshots from the webcam are passed as a texture to the refraction pixel shader to simulate the glass effect. See the source code if you're interested in the nitty-gritty details. Please note that I wrote an introduction to Pixel Shaders for Coding4Fun a while ago. The current Silverlight 5 beta doesn't implement RenderTargets, therefore effects like bloom aren't really possible with the limitations of the Shader Model 2. You can add a faded billboard around the sun, but it wouldn't look that nice and when RenderTargets are added we can do way more nice effects in future releases of Silverlight 5. I also added a new simple anti-jittering functionality to SLARToolkit to prevent the jiggling that mostly occurred due to the varying lightning conditions and noise in the video stream. The SolarWind sample by the Silverlight team was used as a base and extended. The sample uses earth textures from the NASA. The pixel shader for the sun uses textures and concepts from an article by Nicolas Menzel. 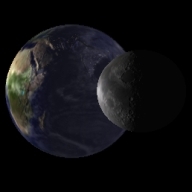 The moon textures are from the Celestia project. Many great new things were announced during the second keynote at Microsoft's MIX11 conference. One of it was the Silverlight 5 beta which is available for download here. The new features are just awesome and many of them were requested by the community. As usual Tim Heuer's great blog post covers all the new goodies in detail and provides videos and source code for most of them. Kudos to the Silverlight team for releasing another great version. My blog post contains a summary of all the new features the Silverlight 5 beta ships and provides some notes about the new 3D API. The next blog post will bring a new SLARToolkit 3D demo. Improved Graphics stack – The graphics stack has been re-architected to bring over improvements from WP7, such as Independent Animations. Hardware video decode for H.264 playback. Multi-core background JIT support for improved startup performance. ComboBox type ahead with text searching. Full keyboard support in full-screen for trusted in-browser applications, enables richer kiosk and media viewing applications in-browser. Default filename in SaveFileDialog – Specify a default filename when you launch the SaveFileDialog. Unrestricted filesystem access – trusted applications can Read write to files in any directory on the filesystem. Hardware acceleration is enabled in windowless mode with Internet Explorer 9. Find more details at the Silverlight site and read John Papa's and Pete Brown's blog posts. One of the topmost requested features at the Silverlight Uservoice site was hardware accelerated 3D graphics. The Silverlight team listened closely and added an immediate mode, low-level, XNA 3D API to Silverlight 5. An immediate mode API offers functionality to render graphics directly to the graphics interface without keeping a list of the objects. 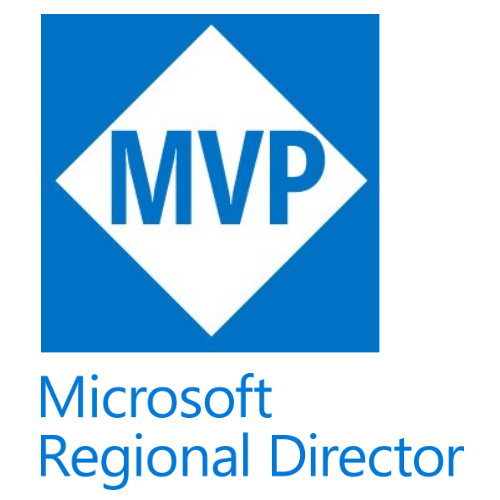 A retained mode API like WPF 3D on the other hand keeps an internal list of the object graph. An immediate mode API is a great choice since it provides the maximum control over the rendering and mostly results in superior performance compared to retained mode rendering. The Silverlight 5 3D API doesn't contain all the higher-level classes one might know from the XNA Game Studio. The Content Pipeline, the SpriteBatch class and others were left out. I assume this decision was made to keep the footprint of the Silverlight runtime small. However, the team added all the needed core functionality; features like the SpriteBatch can be build on top of it by the community. My Silverlight MVP friend Bill Reiss is already working on a SpriteBatch version for Silverlight 5. The new GPU accelerated 3D API gives us Silverlight developers the core XNA functionality with shaders and vertex rendering inside the browser! Shaders aren't easy for most non-graphics programmers, but they give us a huge flexibility and we can build various higher levels on top of the new 3D API. You can render some pretty impressive things with the new Silverlight 5 3D API and it's possible to draw millions of triangles on the GPU without almost no CPU load. Here's a sneak peek at the new SLARToolkit demo which also contains a simple real-time glass effect. The 3D API contains a control called the DrawingSurface, which is basically a rendering surface or a 3D Canvas if you will. The DrawingSurface has the Draw event which is raised for every frame to draw. The event is fired on a render thread which runs in parallel to the UI thread. This is an important concept introduced with Silverlight 5. Inside a Draw event handler the states and shaders are set and the vertex and index buffers are passed to the GPU for rendering. The vertex and pixel shaders implement the lightning model and define how the vertices are rendered. The current Silverlight 5 3D beta only supports Shader Model 2, but this will probably change in a future release, but even with Shader Model 2 many neat lightning models and effects can be implemented. 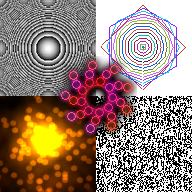 You will find some nice effects in the new SLARToolkit demo. Check out the Silverlight 5 3D samples if you want to learn more about the new 3D API. If you're not familiar with 3D graphics concepts or just want to make your life easier, then I strongly recommend to give the 3D engine Balder a try. It's a fantastic open source engine by my good Silverlight MVP friend Einar Ingebrigtsen. You just need to write a couple lines of XAML and you're good to go. Balder has built-in model loaders to load complex 3D models and Einar provides a big sample library. He also brought the engine to a few more platforms like Windows Phone 7, OpenGL and has even a neat software rendering fallback. Read his blog post here. Another Silverlight MVP friend of mine, Andy Beaulieu made a very cool demo using Balder and a 3D physics engine. He blogged about it and even released the 3D physics engine as open source! The beta of the 3D API is missing some essential things like RenderTargets at the moment, but it's just a beta and more stuff might be announced at the MIX11 conference. If you would like to know more details about the new Silverlight 5 3D API and the roadmap, then you should definitely check out the MIX11 session Graphics & 3D with Silverlight 5 by the Silverlight program manager Aaron Oneal on Wednesday, April 13 3:30 pm - 4:30 pm PDT. All MIX sessions are recorded and will be available online 24 hours after each session. No, Silverlight is not dead and it's clear that Microsoft is investing in it. I'm sure the new features and esp. the XNA 3D API will lead to some great applications in the future. The future is bright and we are part of it.